Eight originals plus two covers of songs by Luther Allison, and Billy Gibbons. That should give you an idea of his musical frame. Sean regards the music of the three kings, but also Jeff Beck or Eric Clapton sources of his inspiration. He's a very powerful player, but he's not a heavy rocker. SEAN CHAMBERS - gtr/voc, TIM BLAIR - bass, PAUL BRODERICK -drums. Special guest: GARY KEITH - hca, JACK HENRIQUEZ - pno, BEN CRIDER - B-3. 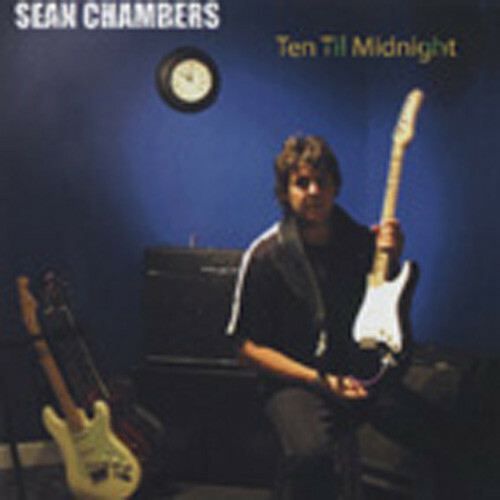 Customer evaluation for "Ten Til Midnight"